One of the photos of my micro (?Mompha sp.) didn't upload, so I'm attaching it here. I've also remembered Ian's Mompha sp. 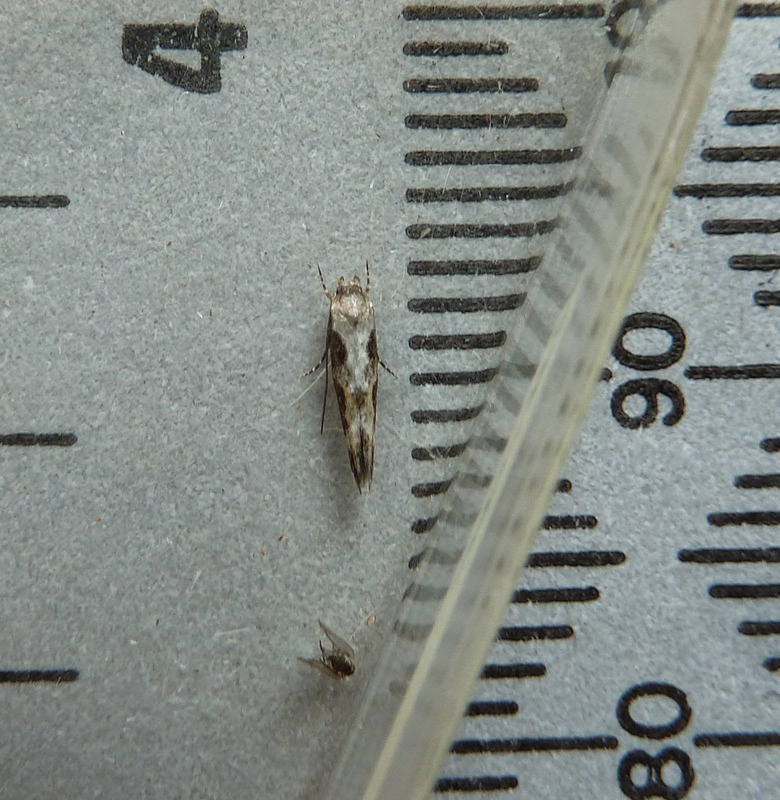 in his blog a few days ago, mine's a bit paler and looks as though it might be M. divisella rather than M. bradleyi according to the illustrations I have. Both are said to hibernate, which this one could well have done in the woodshed. Yes, looks good for divisella, which seems to becoming increasingly common. It seems strange that it's listed as Nationally Scarce. Thank you George. The 'Nationally Scarce' status will need urgent revision if my wood shed has anything to do with it, I captured two more of the moths in there this afternoon, haven't photographed them yet but to the naked eye they look much the same as the one I caught yesterday. I'll post photos tomorrow if they're good enough, I find the photography of such tiny insects quite challenging . Challenging? Looks like you do a pretty good job to me. Thanks for the vote(s) of confidence, Steve. Trouble is, the posted photo is usually the best of a whole bunch of images resulting from several photo shoots. Those mini-micros simply refuse to stay still, the beggars!